Located in the heart of the Tian He business district, our hotel is adjacent to CITIC Plaza and China Shine, home to the majority of the Fortune 500 companies in Guangzhou. 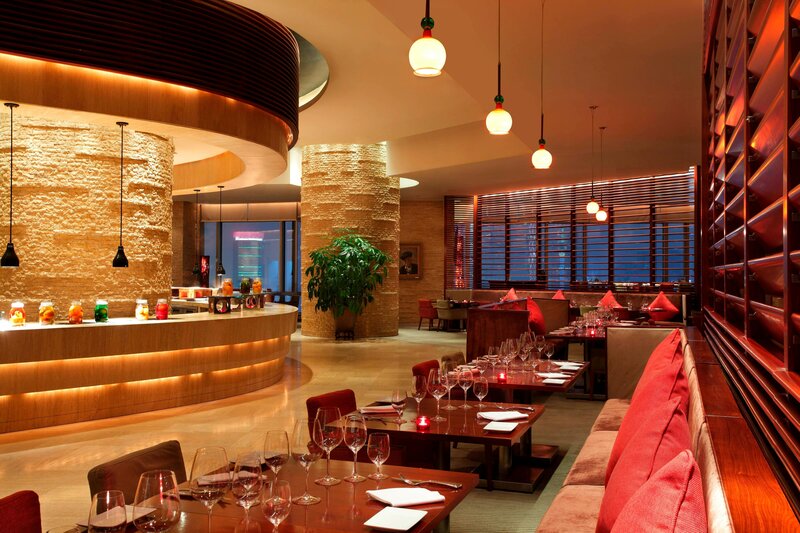 We are also steps from high-end shopping and the Guangzhou East Train Station. Stay fit at our WestinWORKOUT® Fitness Studio and in resplendent outdoor and indoor pools or reenergize with a sumptuous treatment to enhance your health at our Heavenly Spa by Westin™. 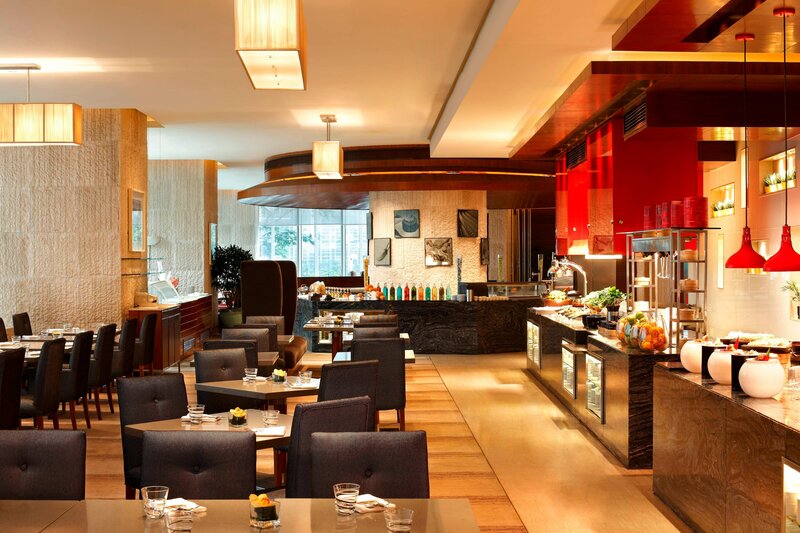 Enjoy delicious nourishment in our five chic restaurants and lounges, which feature a variety of cuisines including Italian and Latin. Our 444 guest rooms and suites all offer the Heavenly® Bed, high ceilings, and soft colors to instantly calm the spirit. Each immaculate and spacious room offers free WiFi, flat-screen TVs and large bathrooms with rainfall showers and soaking tubs. Our Renewal Rooms are a mecca of pure rejuvenation while the WestinWORKOUT® Room inspires workouts at your own pace. The Westin Guangzhou&apos;s elegantly decorated, contemporary rooms, featuring rich wood and warm, neutral hues, offer thoughtful amenties, from the signature Heavenly® Bed with soft, 250-thread-count sheets and pillow-top mattress, to the Herman Miller desk chair. Whether you’re adjusting to a new time zone or recovering from your travels, restful sleep is the key to rejuvenation. The items on the Westin Sleep Well Menu are packed with amino acids, vitamins and minerals that promote rest and recovery. Leave feeling better than when you arrived. Dedicated to our guests’ health and enjoyment, the WestinWORKOUT® Fitness Studio features state-of-the-art gym equipment, a sauna, Jacuzzis, and a steam room. Our WestinWORKOUT® Rooms offer the facilities to maintain—or renew—your commitment to your health with convenient and exhilarating workouts in the privacy and comfort of your own guest room. 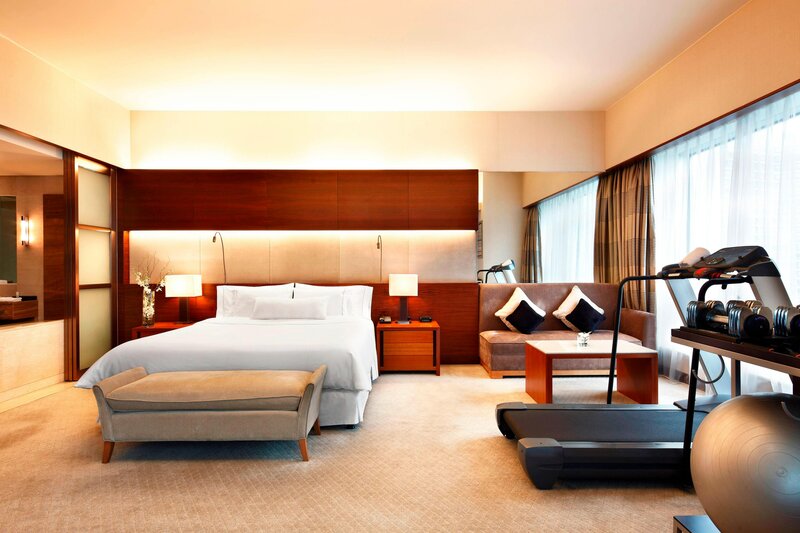 These Grand Deluxe Rooms are truly fitness-friendly: they offer a treadmill or spinning cycle, along with weights, resistance bands, stability balls, fitness DVDs and in-room workouts designed by fitness experts. Indulge in a purifying dip at your leisure, whatever the season. 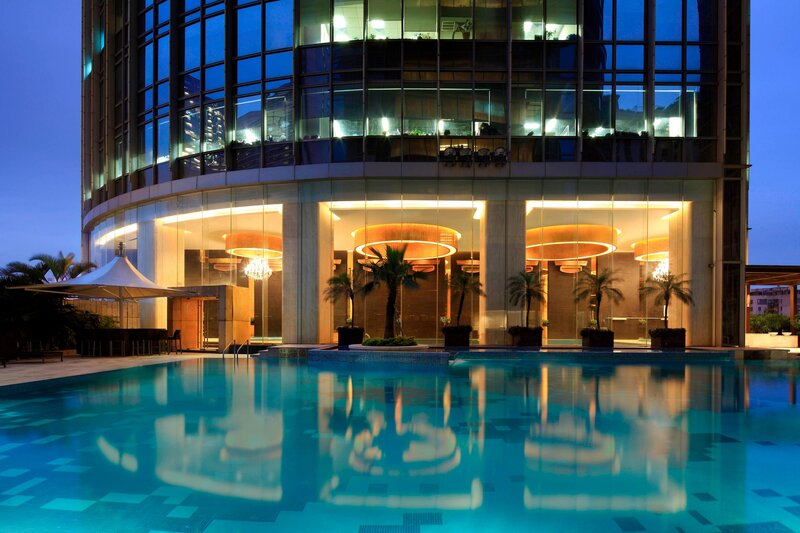 We are the only five-star hotel in Guangzhou to offer both indoor and outdoor swimming pools, in addition to a convenient outdoor children&apos;s pool for your little ones&apos; pure pleasure. 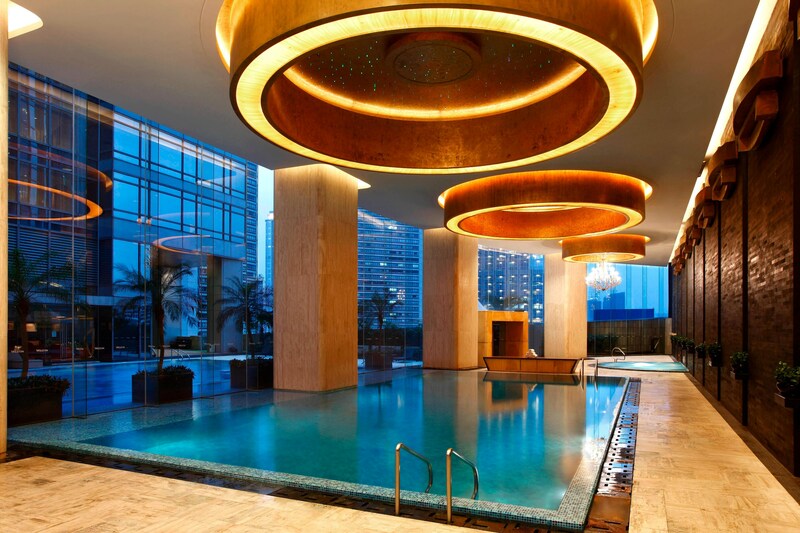 Our Heavenly Spa by Westin™ is an urban sanctuary drawing on hydrotherapy and traditional Asian healing. These amenities and more allow you to relax, find balance, and get back to your best self. Our treatments, from body scrubs and massages drawing on modern hydrotherapy and ancient Chinese medicine to sensuous hand and foot treatments, invite total relaxation. 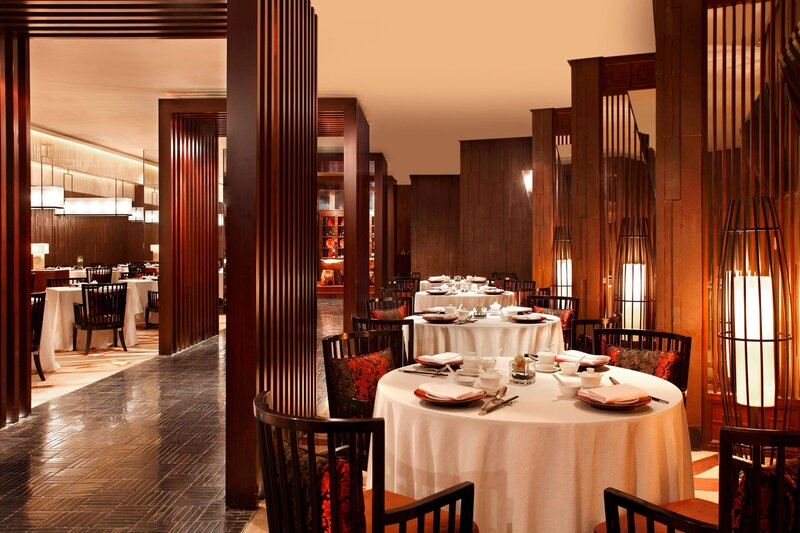 A journey of culinary delights awaits you at The Westin Guangzhou. Enjoy fresh food for enhanced wellbeing in an innovative, relaxing atmosphere at one of our five restaurants and bars, with specialties from all corners of the world. Enjoy fresh, delicious and carefully-prepared specialties in a stimulating atmosphere, enhanced by stunning panoramic views. 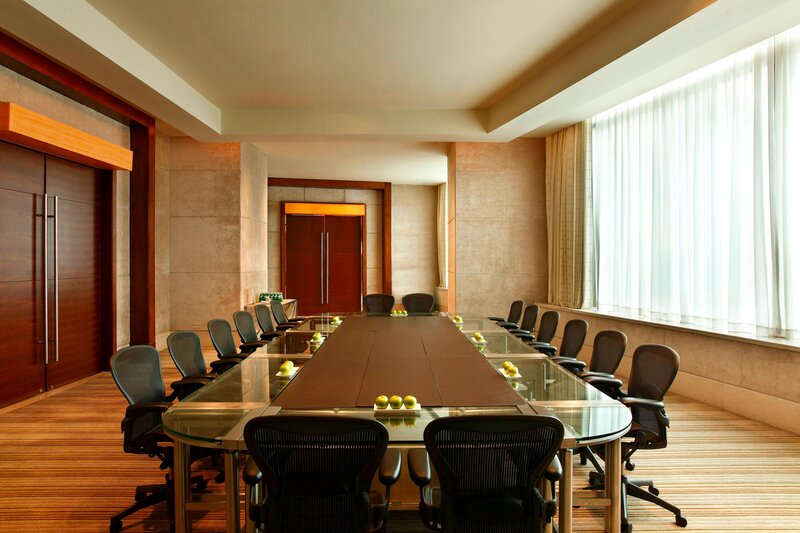 Hold impressive corporate meetings or social events in any of our seven function rooms, including our Grand Ballroom. Our ravishing pillarless ballrooms have been designed to accommodate a variety of set-ups, equipped with the latest audiovisual technology and acoustically engineered to maintain moderate decibel levels for your attendees. 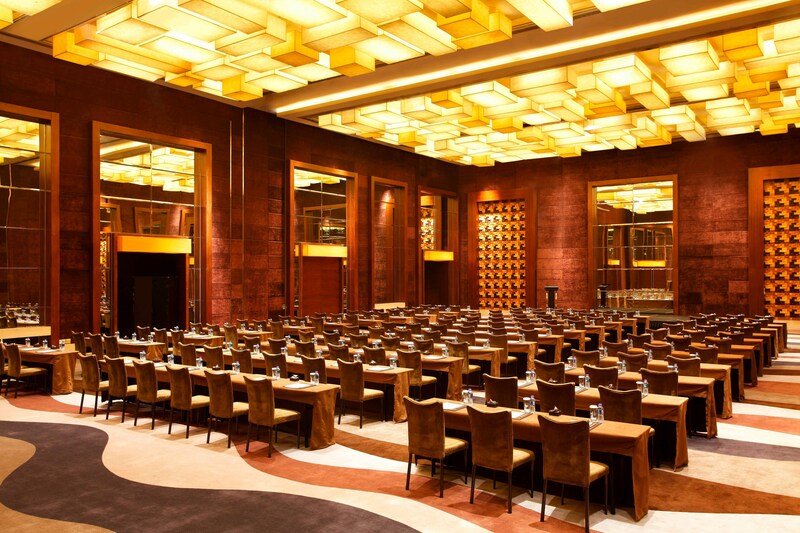 The Westin Guangzhou is located in Tianhe, the burgeoning central business district of Guangzhou. Wonderful retail shopping and dining, as well as parks, museums, and sightseeing attractions, are only a short walk—or subway or taxi ride—away. 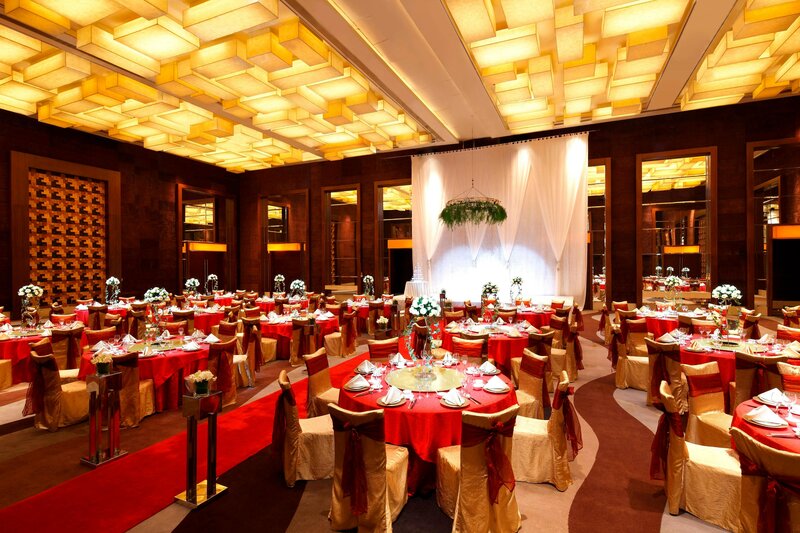 The convenient location makes this upscale Guangzhou hotel an ideal meeting point, and a renewing destination in which to rest, shop, exercise, and be at your best.